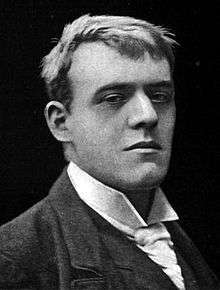 Joseph Hilaire Pierre René Belloc (/hᵻˈlɛər ˈbɛlək/; French: [ilɛʁ bɛlɔk]; 27 July 1870 – 16 July 1953) was an Anglo-French writer and historian. He was one of the most prolific writers in England during the early twentieth century. He was known as a writer, orator, poet, sailor, satirist, man of letters, soldier and political activist. His Catholic faith had a strong impact on his works. He was President of the Oxford Union and later MP for Salford from 1906 to 1910. He was a noted disputant, with a number of long-running feuds, but also widely regarded as a humane and sympathetic man. Belloc became a naturalised British subject in 1902, while retaining his French citizenship. 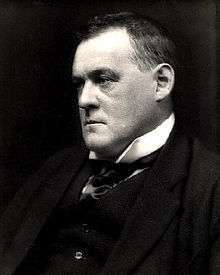 Hilaire Belloc grew up in England, and indeed spent most of his life there. His boyhood was spent in Slindon, West Sussex, for which he often felt homesick in later life, as evidenced in poems such as "West Sussex Drinking Song", "The South Country", and even the more melancholy, "Ha'nacker Mill". After being educated at John Henry Newman's Oratory School in Edgbaston, Birmingham, Belloc served his term of military service, as a French citizen, with an artillery regiment near Toul in 1891. Belloc proceeded to Balliol College, Oxford, as a history scholar. He went on to obtain first-class honours, and never lost his love for Balliol, as is illustrated by his verse, "Balliol made me, Balliol fed me/ Whatever I had she gave me again". Belloc suffered a stroke in 1941 and never recovered from its effects. He died on 16 July 1953 at Mount Alvernia Nursing Home in Guildford, Surrey, from burns and shock following a fall he had while placing a log into a fireplace at King's Land. He is buried at the Shrine of Our Lady of Consolation of West Grinstead, where he had regularly attended Mass as a parishioner. At his funeral Mass, homilist Monsignor Ronald Knox observed, "No man of his time fought so hard for the good things." Belloc first came to public attention shortly after arriving at Balliol College, Oxford as a recent French army veteran. Attending his first debate of the Oxford Union Debating Society, he saw that the affirmative position was wretchedly and half-heartedly defended. As the debate drew to its conclusion and the division of the house was called, he rose from his seat in the audience, and delivered a vigorous, impromptu defence of the proposition. Belloc won that debate from the audience, as the division of the house then showed, and his reputation as a debater was established. He was later elected president of the Union. He held his own in debates there with F. E. Smith and John Buchan, the latter a friend. Belloc wrote on myriad subjects, from warfare to poetry to the many current topics of his day. He has been called one of the Big Four of Edwardian Letters, along with H.G.Wells, George Bernard Shaw, and G. K. Chesterton, all of whom debated with each other into the 1930s. Belloc was closely associated with Chesterton, and Shaw coined the term Chesterbelloc for their partnership. He was co-editor with Cecil Chesterton of the literary periodical the Eye Witness, published until 1912 by Charles Granville's Stephen Swift Ltd. The paper was later called the New Witness, and still later, G. K.'s Weekly. Asked once why he wrote so much, he responded, "Because my children are howling for pearls and caviar." Belloc observed that "The first job of letters is to get a canon," that is, to identify those works which a writer looks upon as exemplary of the best of prose and verse. For his own prose style, he claimed to aspire to be as clear and concise as "Mary had a little lamb." His best travel writing has secured a permanent following. The Path to Rome (1902), an account of a walking pilgrimage he made from central France across the Alps and down to Rome, has remained continuously in print. More than a mere travelogue, "The Path to Rome" contains descriptions of the people and places he encountered, his drawings in pencil and in ink of the route, humour, poesy, and the reflections of a large mind turned to the events of his time as he marches along his solitary way. His book The Pyrenees, published in 1909, shows a depth of detailed knowledge of that region such as would only be gained from personal experience. At every turn, Belloc shows himself to be profoundly in love with Europe and with the Faith that he claims has produced it. With others (G. K. Chesterton, Cecil Chesterton, Arthur Penty) Belloc had envisioned the socioeconomic system of distributism. In The Servile State, written after his party-political career had come to an end, and other works, he criticised the modern economic order and parliamentary system, advocating distributism in opposition to both capitalism and socialism. Belloc made the historical argument that distributism was not a fresh perspective or program of economics but rather a proposed return to the economics that prevailed in Europe for the thousand years when it was Catholic. He called for the dissolution of Parliament and its replacement with committees of representatives for the various sectors of society, an idea that was also popular among Fascists, under the name of corporatism. But original corporatism, sometimes called "paleo-corporatism", was a system that predates capitalism and fascism. Paleo-corporatism was based around the guilds of the Middle Ages and served to appoint legislators. Neo-corporatism is a fascist system that merges the state with the capitalistic corporations and the corporations then are directed by the state, under nominal private ownership. The owners are thus effectively dis appropriated, and become mere managers in the service of the State, and those who control it. Belloc's views fit medieval paleo-corporatism rather than neo-corporatist fascism. One of Belloc's most famous statements was "the faith is Europe and Europe is the faith" this sums up his strongly held, orthodox Catholic views, and the cultural conclusions he drew from them. Those views were expressed at length in many of his works from the period 1920–40. These are still cited as exemplary of Catholic apologetics. They have also been criticised, for instance by comparison with the work of Christopher Dawson during the same period. The story must not be neglected by any modern, who may think in error that the East has finally fallen before the West, that Islam is now enslaved — to our political and economic power at any rate if not to our philosophy. It is not so. Islam essentially survives, and Islam would not have survived had the Crusade made good its hold upon the essential point of Damascus. Islam survives. Its religion is intact; therefore its material strength may return. Our religion is in peril, and who can be confident in the continued skill, let alone the continued obedience, of those who make and work our machines? ... There is with us a complete chaos in religious doctrine.... We worship ourselves, we worship the nation; or we worship (some few of us) a particular economic arrangement believed to be the satisfaction of social justice.... Islam has not suffered this spiritual decline; and in the contrast between [our religious chaos and Islam's] religious certitudes still strong throughout the Mohammedan world lies our peril. Belloc cited the many beliefs and theological principles which Islam shares with Catholicism. For Belloc, the common ground includes the unity and the omnipotence, personal nature, all-goodness, timelessness and providence of God, His creative power as the origin of all things, and His sustenance of all things by His power alone, the world of good spirits and angels and of evil spirits in war against God, with a chief evil spirit, the immortality of the soul and its responsibility for actions in this life, coupled with the doctrine of reward and punishment after death, the Day of Judgment with Christ as Judge, and the Lady Miriam (Mary) as the first among womenkind—and exactly which, in Belloc's view, identify it as a heresy: where Islam decisively diverges from Catholicism is the "denial of the Incarnation and all the sacramental life of the Church that followed from it"—with Islam regarding Jesus as a merely human Prophet. Whether Belloc was an antisemite is a matter of controversy. The most virulent attacks in the Marconi affair were launched by Hilaire Belloc and the brothers Cecil and G.K. Chesterton, whose hostility to Jews was linked to their opposition to liberalism, their backward-looking Catholicism, and the nostalgia for a medieval Catholic Europe that they imagined was ordered, harmonious, and homogeneous. The Jew baiting at the time of the The Boer War and the Marconi scandal was linked to a broader protest, mounted in the main by the Radical wing of the Liberal Party, against the growing visibility of successful businessmen in national life and their challenges to what were seen as traditional English values. Belloc has been deemed by some to be antisemitic and not concerned to conceal his views. A. N. Wilson's biography expresses the opinion that Belloc had a tendency to allude to Jews in conversation, in a seemingly obsessive fashion on occasion. Anthony Powell's review of that biography contains Powell's opinion, that Belloc was thoroughly antisemitic, except at a personal level. There are a number of grounds on which the accusations of antisemitism have been based. From his days in politics onwards, he repeatedly demonstrated a belief that Jewish people had significant control over society and the world of finance. In The Cruise of the Nona, Belloc reflected equivocally on the Dreyfus Affair after thirty years. Norman Rose's book The Cliveden Set (2000) poses the question of whether Nancy Astor, a friend of Belloc's in the 1930s until they broke over religious matters, was influenced by him against Jews in general. In his 1922 book, The Jews, Belloc argued that "the continued presence of the Jewish nation intermixed with other nations alien to it presents a permanent problem of the gravest character," and that the "Catholic Church is the conservator of an age-long European tradition, and that tradition will never compromise with the fiction that a Jew can be other than a Jew. Wherever the Catholic Church has power, and in proportion to its power, the Jewish problem will be recognized to the full." The Jews was largely perceived as an anti-semitic work. Robert Speaight cited a letter by Belloc in which he pilloried Nesta Webster because of her accusations against "the Jews". In February 1924, Belloc wrote to an American Jewish friend regarding an allegedly antisemitic book by Webster. Webster had rejected Christianity, studied Eastern religions, accepted the Hindu concept of the equality of all religions and was fascinated by theories of reincarnation and ancestral memory. Speaight also points out that when faced with antisemitism in practice—as at elitist country clubs in the United States before World War II—he voiced his disapproval. Belloc condemned Nazi antisemitism in The Catholic and the War (1940). Belloc grew up in Slindon and spent most of his life in West Sussex. He always wrote of Sussex as if it were the crown of England and the western Sussex Downs the jewel in that crown. He loved Sussex to the point of idolatry as the place where he was brought up and as his spiritual home. Belloc wrote several works about Sussex including Ha'nacker Mill, The South Country, the travel guide Sussex (1906) and The County of Sussex (1936). One of his best-known works relating to Sussex is The Four Men: a Farrago (1911), in which the four characters, each aspects of Belloc's personality, travel on a pilgrimage across the county from Robertsbridge in the far east to Harting in the far west. The work has influenced others including Sussex folk musician Bob Copper, who retraced Belloc's steps in the 1980s. Belloc was also a lover of Sussex songs and wrote lyrics for some songs which have since been put to music. 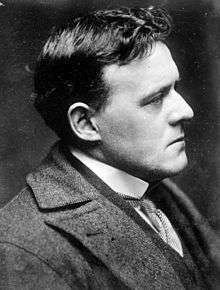 Belloc is remembered in an annual celebration in Sussex, known as Belloc Night, that takes place on the writer's birthday, 27 July, in the manner of Burns Night in Scotland. The celebration includes reading from Belloc's work and partaking of a bread and cheese supper with pickles. On the second episode of Monty Python's Flying Circus, in the sketch The Mouse Problem, a list of famous people who secretly were mice is concluded with "and, of course, Hilaire Belloc". “A Conscript’s View of the French Army,” The Contemporary Review, Vol. LXIII, June 1893. “The Sea-Fight of Ushant,” Scribner's, Vol. XXXIV, No. 2, August 1903. “The Cambridge History of the French Revolution,” The Bookman, Vol. XXVI, No. 156, September 1904. “The Protectionist Movement in England,” The International Quarterly, Vol. X, October 1904/January 1905. “The Young Napoleon,” The Bookman, Vol. XXVIII, No. 166, July 1905. “Napoleon II,” The Bookman, Vol. XXIX, No. 170, November 1905. “Ten Pages of Taine,” The International Quarterly, Vol. XII, October 1905/January 1906. “Contemporary France,” The Bookman, Vol. XXIX, No. 173, February 1906. “Thoughts About Modern Thought,” The New Age, Vol. II, No. 6, 7 December 1907. “Not a Reply,” The New Age, Vol. II, No. 15, 8 February 1908. “A Question,” The New Age, Vol. II, No. 21, 21 March 1908. “The Inflation of Assessment,” The Dublin Review, Vol. CXLII, No. 284-285, January/April 1908. “The Recess and the Congo,” The New Age, Vol. III, No. 15, 8 August 1908. “The Taxation of Rent,” The Dublin Review, Vol. CXLV, No. 290-291, July/October 1909. “The International. I. The Ferrer Case,” The Dublin Review, Vol. CXLVI, No. 292-293, January/April 1910. “The International. II. The Motive Case," The Dublin Review, Vol. CXLVI, No. 292-293, January/April 1910. “Lord Acton on the French Revolution,” The Nineteenth Century and After, Vol. LXIX, January/June 1911. “The Economics of ‘Cheap’,” The Dublin Review, Vol. CXLVIII, No. 296-297, January/April 1911. “The Catholic Conscience of History,” The Catholic World, Vol. XCII, October 1910/March 1911. “What was the Roman Empire?,” The Catholic World, Vol. XCII, October 1910/March 1911. “What was the Church in the Roman Empire?,” The Catholic World, Vol. XCII, October 1910/March 1911. “What was the ‘Fall’ of the Roman Empire?,” The Catholic World, Vol. XCII, October 1910/March 1911. “The Beginnings of the Nations,” The Catholic World, Vol. XCII, October 1910/March 1911. “What Happened in Britain,” Part II, The Catholic World, Vol. XCIII, April/September 1911. “The Middle Ages,” The Catholic World, Vol. XCIII, April/September 1911. “On a Method of Writing History,” The Dublin Review, Vol. CXLIX, No. 298-299, July/October 1911. “Catholicism and History,” The Dublin Review, Vol. CXLIX, No. 298-299, July/October 1911. “What was the Reformation?,” Part II, The Catholic World, Vol. XCIV, October 1911/March 1912. “The Entry Into the Dark Ages,” The Dublin Review, Vol. CL, No. 300-301, January/April 1912. “On a Very Special Calling,” The Century Magazine, Vol. LXXXIV, No. 1, May 1912. “The Fairy Omnibus,” The Century Magazine, Vol. LXXXIV, No. 3, July 1912. “On the Secret of Diplomatic Success,” The Century Magazine, Vol. LXXXIV, No°. 6, October 1912. “The Servile State,” Everyman, Vol. I, No. 7, 29 November 1912. “Should Lloyd George Imitate Napoleon?,” Everyman, Vol. I, No. 23, 21 March 1913. “The Battle of Waterloo,” Everyman, Vol. II, No. 27, 18 April 1913. “Professor Bury’s History of Freedom of Thought,” The Dublin Review, Vol. CLIV, No. 308-309, January/April 1914. “The Church and French Democracy,” Part II, Part III, Part IV, Part V, The Catholic World, Vol. XCVIII, October 1913/March 1914; Part VI, Vol. XCIX, April/September 1914. “The Modern French Temper,” The Dublin Review, Vol. CLV, No. 310-311, July/October 1914. “High Lights of the French Revolution,” The Century Magazine, Vol. LXXXVIII, No. 5, September 1914; Part II, No. 6, October 1914; Part III, Vol. LXXXIX, No. 2, December 1914; Part IV, N°. 4, February 1915; Part V, N°. 6, April 1915. “The Economics of War,” The Dublin Review, Vol. CLVI, No. 312-313, January/April 1915. “A Page of Gibbon,” The Dublin Review, Vol. CLIX, No. 314-315, July/October 1916. “Socialism and the Servile State,” The Catholic World, Vol. CV, April/September 1917. “A Political Survey,” Land & Water, Vol. LXX, No. 2904, January 1918. “The Prime Minister’s Speech,” Land & Water, Vol. LXX, No. 2905, January 1918. “The New State in Europe,” Part III; Part IV, Land and Water, No. 2909, February 1918. “Enemy Reinforcement,” Land and Water, Vol. LXX, No. 2910, February 1918. “The Meaning of Ukraine,” Land and Water, Vol. LXX, No. 2911, February 1918. “German War Medals,” Land and Water, Vol. LXX, No. 2911, February 1918. “The Public Mood,” Land and Water, Vol. LXX, No. 2912, February 1918. “The German Offer,” Land and Water, Vol. LXX, No. 2913, March 1918. “East and West,” Land and Water, Vol. LXX, No. 2914, March 1918. “The Great Battle,” Land and Water, Vol. LXX, No. 2916, March 1918; Part II, Vol. LXXI, No. 2917, April 1918. “The Continued Battle,” Land and Water, Vol. LXXI, No. 2918, April 1918. “Battle of the Lys,” Land and Water, Vol. LXXI, No. 2919, April 1918. “The American Effort,” Land and Water, Vol. LXXI, No. 2921, May 1918. “The Delay and the Attack,” Land and Water, Vol. LXXI, No. 2925, May 1918. “Battle of the Tardenois,” Land and Water, Vol. LXXI, No. 2926, June 1918. “Battle of the Matz,” Land and Water, Vol. LXXI, No. 2929, June 1918. “On the Word ‘Christianity’,” The Catholic World, Vol. CVII, April/September 1918. “A Visit to Strassburg,” The Living Age, Vol. XIV, No. 693, April 1919. “Vanished Towns,” The Living Age, Vol. 14, No. 709, May 1919. “Paris and London – A Study in Contrasts,” The Living Age, September 1919. “Three British Criticisms of Ludendorff,” The Living Age, November 1919. “An Essay on Controversy,” The Living Age, March 1920. “Cursing the Climate,” The Living Age, March 1920. “On Accent,” The Living Age, June 1920. “Madame Tussaud and Her Famous Waxworks,” The Living Age, September 1920. “The Mowing of a Field.” In Modern Essays, Harcourt, Brace & Company. New York, 1921. “The Death of St. Martin,” The Living Age, February 1921. “Dante the Monarchist,” The Catholic World, Vol. CXIII, September 1921. “Gibbon and the Ebionites,” The Dublin Review, Vol. CLXIX, No. 339, October/December 1921. “On Kind Hearts Being More Than Coronets,” The Living Age, July 1922. “Al Wasal, or the Merger,” The Living Age, Vol. CCCXV, No. 4093, 16 December 1922. “The American Alliance,” The Living Age, June 1923. “On the Cathedral at Seville and ‘The Misantrophe’,” The Bookman, Vol. LVIII, No. 4, December 1923. “Hoko and Moko,” The Living Age, February 1924. “A Catholic View of Religious America,” The Century Magazine, April 1924. “Wash Day – British and American Style,” The Outlook, April 1924. “A Pedestrian in Spain,” The Living Age, November 1924. “Nordic or Not?,” The Living Age, April 1925. “A Chinese Litany of Odd Numbers,” The Living Age, June 1925. “Mrs. Piozzi’s Rasselas,” The Saturday Review, Vol. II, No. 3, August 1925. “The Reproof of Gluttony,” The Forum, Vol. LXXVI, No. 3, September 1926. “Vathek,” The Saturday Review, Vol. IV, No. 12, October 1927. “The Peril to Letters,” The Living Age, January 1930. “Advice to a Young Man,” The Living Age, March 1930. “Mark My Words!,” The Saturday Review, Vol. VII, No. 34, March 1931. “On Translation,” Part II, The Living Age, September/October 1931. “Machine versus Man,” The Living Age, June 1932. “Britain’s Secret Policy,” The Living Age, December 1932. “The Restoration of Property,” Part II, Part III, Part IV, Part V, Part VI, The American Review, April/November 1933. “Science and Religion,” The American Review, Vol. II, No. 4, February 1934. “Parliament and Monarchy,” The American Review, Vol. II, No. 5, March 1934. “Dimnet and the French Mind,” The Saturday Review, Vol. XI, No. 36, March 1935. “Gilbert Keith Chesterton,” The Saturday Review, Vol. XVI, No. 10, July 1936. “The New League,” The American Review, Vol. VIII, No. 1, November 1936. “A Letter to Bernard Shaw,” The American Review, Vol. VIII, No. 3, January 1937. “English Monarchy,” The American Review, Vol. VIII, No. 4, February 1937. “Two Texts,” The American Review, Vol. IX, No. 1, April 1937. “Neither Capitalism Nor Socialism,” The American Mercury, Vol. XLI, No. 163, July 1937. “The Way Out,” Social Justice, February 1938. “The Problem Stated,” Social Justice, March 1938. “The Wage Worker,” Social Justice, March 1938. “Insufficiency and Insecurity,” Social Justice, March 1938. “Ruin of the Small Owner,” Social Justice, March 1938. “Ruin of the Small Store Keeper,” Social Justice, April 1938. “The Proletarian Mind,” Social Justice, April 1938. “Usury,” Social Justice, April 1938. “The Disease of Monopoly,” Social Justice, April 1938. “Capitalism Kills Its Own Market,” Social Justice, May 1938. “The Suppressed Truth,” Social Justice, May 1938. “The End Is Slavery,” Social Justice, May 1938. “The Way Out,” Social Justice, June 1938. “Communism – the Theory,” Social Justice, June 1938. “Communism Is Wicked,” Social Justice, June 1938. “Communism Has Failed,” Social Justice, June 1938. “Property,” Social Justice, July 1938. “Secured Capitalism,” Social Justice, July 1938. “The Way Out,” Social Justice, July 1938. “The Way Out: The Differential Tax,” Social Justice, July 1938. “The Way Out: The Guild System,” Social Justice, August 1938. “The Way Out: The Small Producer,” Social Justice, August 1938. “The Small Distributor,” Social Justice, August 1938. “The Way Out: The Functions of the State,” Social Justice, August 1938. “The Way Out: Summary and Conclusion,” Social Justice, August 1938. “Prussia Not Hitler Must Perish,” The Living Age, January 1940. “Hitler Loses Round One,” The Living Age, December 1940. ↑ "Matilda," 1907, in the Poetry Archive. ↑ Shaw, George Bernard. "Belloc and Chesterton," The New Age, Vol. II, No. 16, 15 February 1918. ↑ Lynd, Robert. "Mr. G. K. Chesterton and Mr. Hilaire Belloc." In Old and New Masters, T. Fisher Unwin Ltd., 1919. ↑ McInerny, Ralph. "The Chesterbelloc Thing," The Catholic Thing, 30 September 2008. ↑ Brickel, Alfred G. "Hilaire Belloc and Cardinal Newman," The American Catholic Quarterly Review, Vol. XLVII, N°.185, 1922. ↑ The Point (August 1958). ↑ Oxford Dictionary of National Biography, Volume 5. Oxford University Press. 2004. p. 30. ISBN 0-19-861355-5. Article by Bernard Berganzi. ↑ His estate was probated at £7,451. ↑ Sir John Simon, who was a contemporary at Oxford, described his "...resonant, deep pitched voice..." as making an "...unforgettable impression". ↑ Francis West, Gilbert Murray, p. 107, describes Murray's impression on an occasion in 1899: In July [...] [Murray] attended a meeting on the principles of Liberalism, at which Hilaire Belloc spoke brilliantly although Murray could not afterwards remember a word that he had said. ↑ Wells, H. G., Mr. Belloc Objects, to the Outline of History, Watts & Company, London, 1926. ↑ Time and again I have seen him throw out a sufficiently outrageous theory in order to stimulate his company, and, be it said, for the pleasure of seeing how slowly he might be dislodged from a position he had purposely taken up knowing it to be untenable.... Of course Belloc was prejudiced, but there were few who knew him who did not love his prejudices, who did not love to hear him fight for them, and who did not honor him for the sincerity and passion with which he held to them. Once the battle was joined all his armoury was marshalled and flung into the fray. Dialectic, Scorn, Quip, Epigram, Sarcasm, Historical Evidence, Massive Argument, and Moral Teaching --of all these weapons he was a past master and each was mobilised and made to play its proper part in the attack. Yet he was a courteous and a chivalrous man. A deeply sensitive man, his was the kindest and most understanding nature I have ever known. In spite of a rollicking and bombastic side he was as incapable of the least cruelty as he was capable of the most delicate sympathy with other people's feelings. As he himself used to say of others in a curiously quiet and simple way, "He is a good man. He will go to Heaven." ↑ Vogel, James. 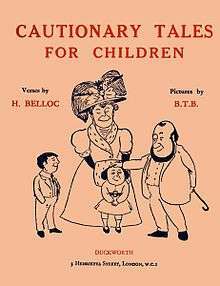 "Hilaire Belloc, Cautionary Tales and Bad Child’s Book of Beasts," Crisis Magazine, 29 March 2012. ↑ The Cruise of the "Nona". Harmondsworth: Penguin, 1958, p. 48. ↑ The Cruise of the "Nona". Harmondsworth: Penguin, p. 49. ↑ Raymond Williams, Culture and Society, p. 186: Belloc's argument is that capitalism as a system is breaking down, and that this is to be welcomed. A society in which a minority owns and controls the means of production, while the majority are reduced to proletarian status, is not only wrong but unstable. Belloc sees it breaking down in two ways – on the one hand into State action for welfare (which pure capitalism cannot embody); on the other hand into monopoly and the restraint of trade. There are only two alternatives to this system: socialism, which Belloc calls collectivism; and the redistribution of property on a significant scale, which Belloc calls distributivism. ↑ Socialism and the Servile State: A Debate between Hilaire Belloc and J. Ramsay MacDonald, South West London Federation of the Independent Labour, 1911. ↑ There is an enormous book called volume 1 of A Cambridge History of the Middle Ages. It is 759 pages in length of close print.... It does not mention the Mass once. That is as though you were to write a history of the Jewish dispersion without mentioning the synagogue or of the British empire without mentioning the city of London or the Navy (Letters from Hilaire Belloc, Hollis and Carter, 75). ↑ A.N. Wilson's Introduction to Belloc's Complete Verse, Pimlico, 1991. ↑ The Great Heresies, Ch. 4, "The Great and Enduring Heresy of Mohammed." ↑ The Crusades: the World's Debate, Bruce Publishing Company, 1937, p. 8. ↑ Todd M. Endelman (2002). The Jews of Britain, 1656 to 2000. p. 9. ↑ I, for my part, pretend to no certain conclusion in the matter… Of my own intimate acquaintance who were on the spot [at Dreyfus' trial] and competent to judge, most were for the innocence of Dreyfus: but the rest, fully competent also, were and are, convinced of his guilt… There are in England to-day two Englishmen whose wide knowledge of Europe and especially of Paris, and the French tongue and society, enable them to judge. They are both close friends of mine. One is for, the other against… I believe that, when the passions have died down, the Dreyfus case will remain for history very much what the Diamond Necklace has remained, or the Tichborne case; that is, there will be a popular legend, intellectually worth nothing; and, for the historian, the task of criticising that legend, but hardly of solving the problem. ↑ Rose asserts that Belloc 'was moved by a deep vein of hysterical anti-semitism'. ↑ Belloc, Hilaire, The Jews, London: Constable, 1922, 3–5, 209–210. ↑ Nesta Webster, Spacious Days, London and Bombay, 1950, pp. 103 and 172–5. In my opinion it is a lunatic book. She is one of those people who have got one cause on the brain. It is the good old 'Jewish revolutionary' bogey. But there is a type of unstable mind which cannot rest without morbid imaginings, and the conception of a single cause simplifies thought. With this good woman it is the Jews, with some people it is the Jesuits, with others Freemasons and so on. The world is more complex than that. R. Speaight, The Life Of Hilaire Belloc, 1957, pp. 456–8. 1 2 Brandon, Peter (2006). Sussex. Phillimore & Co Ltd. ISBN 978-0-7090-6998-0. ↑ "Baptism by Beer: Hilaire Belloc's The Four Men: A Farrago". Catholic Online. Retrieved 29 March 2012. 1 2 3 "Review: The Four Men – Hilaire Belloc". A Common Reader. Retrieved 29 March 2012. 1 2 Hare, Chris (1995). A History of the Sussex People. Worthing: Southern Heritage Books. ISBN 978-0-9527097-0-1. 1 2 "Worthing Downlander Events 2012". Worthing Downlanders. Retrieved 29 March 2012. Rich, Tim. "On a Monkey's Birthday: Belloc and Sussex." In Common Ground: Around Britain in Thirty Writers, Cyan Books, 2006 ISBN 1-904879-93-4. Wilhelmsen, Frederick. "Hilaire Belloc: Defender of the Faith," The Catholic Writer: The Proceedings of the Wethersfield Institute, Vol. II, 1989 [Rep. by CERC: Catholic Education Resource Center. Woodruff, Douglas, ed., For Hilaire Belloc, Sheed & Ward, 1942 [with contributions by Douglas Jerrold, Ronald Knox, Arnold Lunn, C. A. J. Armstrong, Christopher Hollis, Gervase Matthew, David Mathew, J. B. Morton, W. A. Pantin, David Jones].